Located in the center of Rome. 5 minutes walk toTERMINI STATION. Rooms have private bathrooms from double, triple & quad. Breakfast included, internet free, airconditioned, safetybox & shower 24/24 hours & no curfew time. Hurry..... come & enjoy. We're here for you. 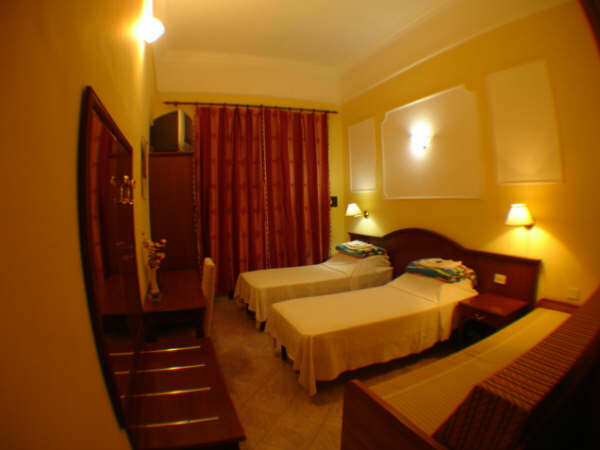 Its ideal position makes it an ideal starting point to visit Rome and its marvellous monuments. We are within walking distance to all major attractions including Navona Square, the Pantheon, Campo de Fiori, the Roman Colosseum and , as well as Piazza di Spagna and San Giovanni in Laterano (line A). Piazza della Repubblica is at only 15 minutes on foot. It must be requested least 3 days prior to arrival as we need to check availability.